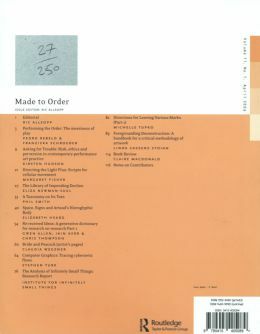 Made to Order is the first issue in a volume devoted to keywords, lists and sequences. The issue considers ordering systems – encyclopaedias, lexicons, dictionaries, lists, stage directions – in relation to the histories, practices, theories and discourses of performance. 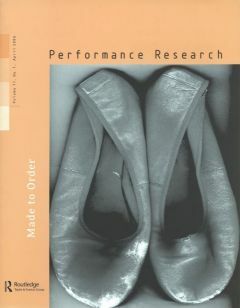 It will be followed by a companion issue on indexes, and a further double issue devoted to exploring some of the keywords in the field of contemporary performance.